We have more than three decades of experience in serving our customers in London and Kent with top-quality floor sawing services. We house a dedicated team of floor sawing specialists who are well-qualified and trained to perform floor sawing for any construction project. Floor saws are first preferred when straight and clean cuts are required. They are commonly used to cut through roads, driveways, pavements, yards, slabs, and any other horizontally aligned structure. Floor saws are also opted to form expansion joints, remove the damaged layer of an upper surface of the structure and to perform partial demolition. At CA Drillers, we have a wide range of floor saws to ensure we have the best fit for your project. We have both diesel and electrical powered floor saws to ensure we can fulfil diverse requirements or purposes. Our floor saws can efficiently and easily cut through concrete, asphalt and any other construction material. 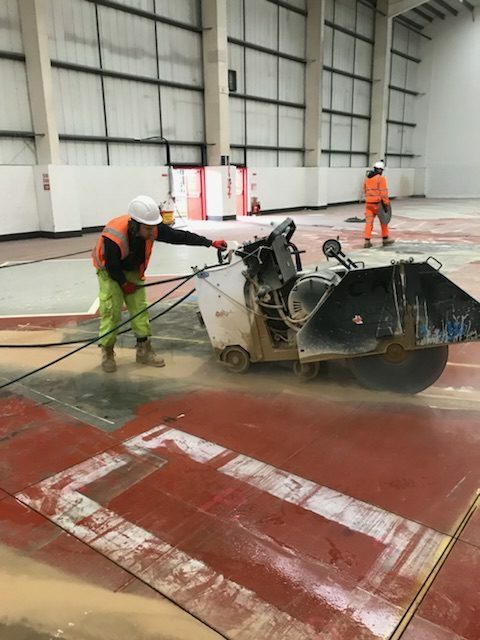 So, whether it is a road, pavement, column or any other structure, you can depend on our high-quality floor sawing services. In short, floor sawing is the perfect choice when you have a short deadline and need high-quality finish in the work. With 35+ years of experience into a concrete cutting industry, today we are capable of meeting any challenging project specifications in the most effective and efficient manner. We have vast experience working with tens of hundreds of contractors to assist them in their building or renovation projects. We also lend our professional support as a sub-contractor to demolition projects in London, Kent and other parts of South East England. We assure you of fast and reliable floor sawing services. We have most up-to-date floor sawing equipment to assure you of best quality outcomes. 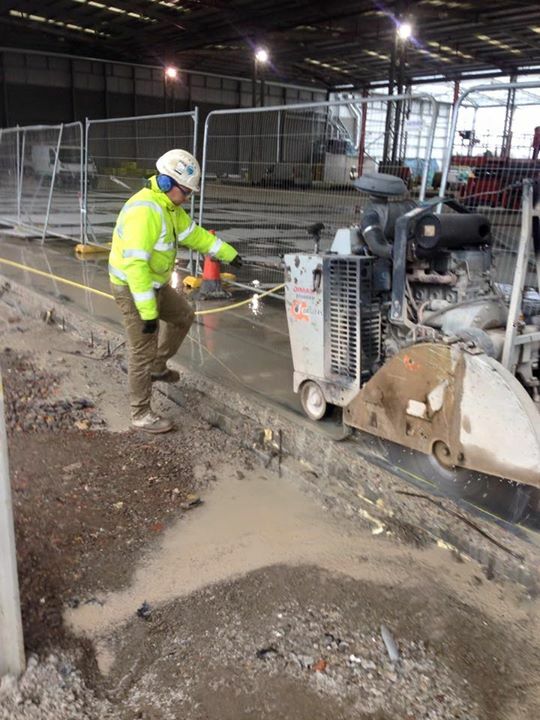 We ensure clean and accurate floor sawing services to every project we undertake. We also adhere to the British health and safety guidelines to every floor sawing project we commit to. We offer our floor sawing services in London, Kent and many other areas in close proximity. In addition to floor sawing, we also specialise in track sawing, wire sawing, diamond ring and chain sawing, deep sawing, diamond drilling and cutting, floor preparation, hydraulic bursting and Brokk demolition services. We are a one-stop-shop to all your concrete cutting and demolition needs. Shall you need to know more about our diamond floor sawing services in London & Kent, give us a call on 08009750891.